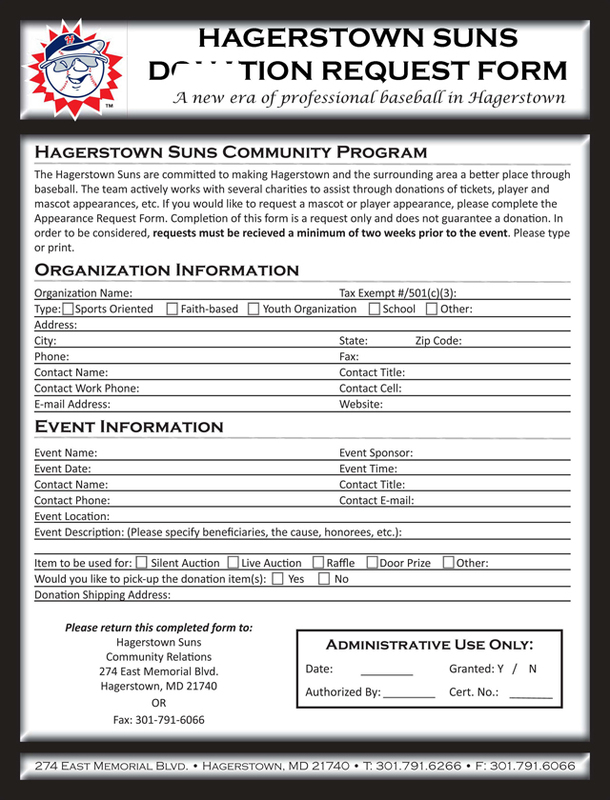 The Hagerstown Suns are committed to making Hagerstown and the surrounding area a better place through baseball. The team actively works with several charities to assist through donations of tickets, player and mascot appearances and publicity. We're looking forward to an exciting 2019 season - both on and off the field - and are ready to keep enhancing lives through baseball. Completion of either form does not guarantee a donation or appearance. Some fees may apply. 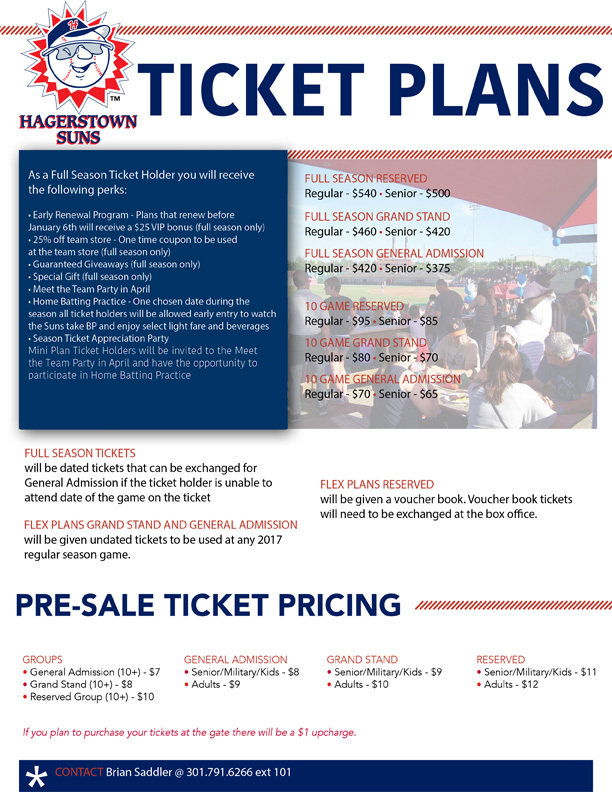 For more information, questions or concerns call Tom at 301-791-6266 ext. 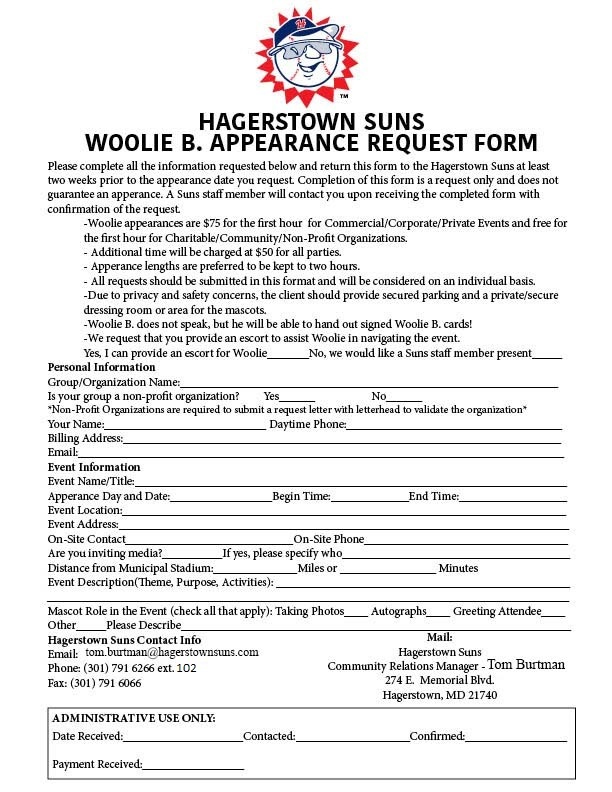 102 or e-mail tom.burtman@hagerstownsuns.com. Thank you!